An innovation in hair removal! 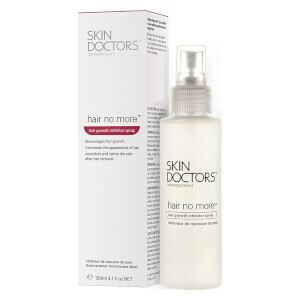 This unique and revolutionary Hair Growth Inhibitor Spray from Skin Doctors has been designed to actually help discourage unwanted hair from growing back. 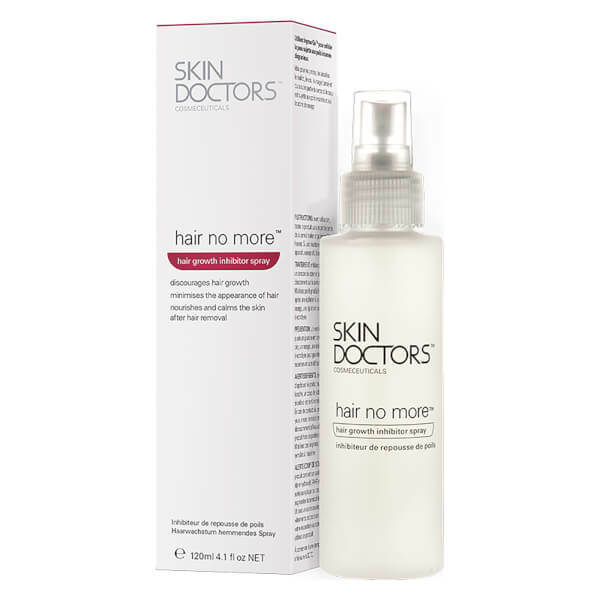 Hair that does grow back is often finer, sparser and lighter than before with Hair Growth Inhibitor Spray from Skin Doctors, and in many cases the hair doesn’t grow back again! So that means no more tweezing, no more waxing, and no more pain! The scientifically developed Hair Growth Inhibitor Spray can help delay hair re-growth. Hair that does grow back may be finer, sparser, and lighter than before and in many cases the hair never grows back again. No side effects except for the slowed appearance of hair growth and softer skin. The product is easily applied and contains soothing plant and herbal extracts. There's no pain, no effort, no preparation and there's no skin irritation. Once the skin has dried following depilation, spray the intended area with a fine mist. Apply enough spray to saturate the area and then massage into the skin until fully absorbed. If applying to a sensitive area (ie – close to eyes or mouth) spray onto a piece of cotton wool first and then apply to the application area. Use daily for the first week and twice weekly thereafter to maintain hair retarding action. Apply more often if the hair is thick and dark. Cautions: Patch test 24 hours prior to first use. Keep out of reach of children. Water (Aqua), Propylene Glycol, Urea, Hamamelis Virginiana (Witch Hazel) Bark/Leaf/Twig Extract, Sodium Citrate, Hydrolysed Soy Protein, Salicylic Acid, Menthol, Arnica Montana (Arnica) Flower Extract, Hypericum Perforatum (St John’s Wort) Flower/Leaf/Stem Extract, Salix Alba (Willow) Bark Extract, PEG-40 Hydrogenated Castor Oil, Xanthan Gum, Imidazolidinyl Urea.